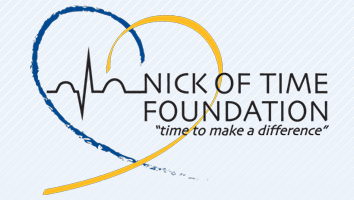 Nick of Time Foundation will partner with UW Medicine, UW Center for Sports Cardiology, CardeaScreen, Sonosite, WA State Council of Firefighters, and Physio Foundation to provide free ECG youth heart screenings for active students and young athletes in memory of Ingraham High School coach, Kelly Donovan. Open to all students ages 14-24, regardless of where they go to school. To kick off the start of American Heart Month, 500 young people will be screened and taught “hands only” CPR on Wednesday February 7, 2018 by Nick of Time Foundation and its partners. This event is also being held in honor of Kelly Donovan, a coach at Ingraham High School who suffered and died from a sudden cardiac arrest while on the field with her ultimate boys Frisbee team at Ingraham High School in December 2016. The screenings are intended to identify undetected heart conditions in youth – particularly student athletes, which might increase their risk of SCA. These free events are made possible due to the volunteer collaboration of numerous community organizations that come together to ensure Puget Sound youth are safe to compete and be active. No athlete should die doing what they love.